The first of the ‘new’ daffodils has opened. I say new but these are just those that were added to the garden last autumn and are opening here for the first time. In most cases I potted some so I could take photos more easily but the pots have been outside and have not been forced. 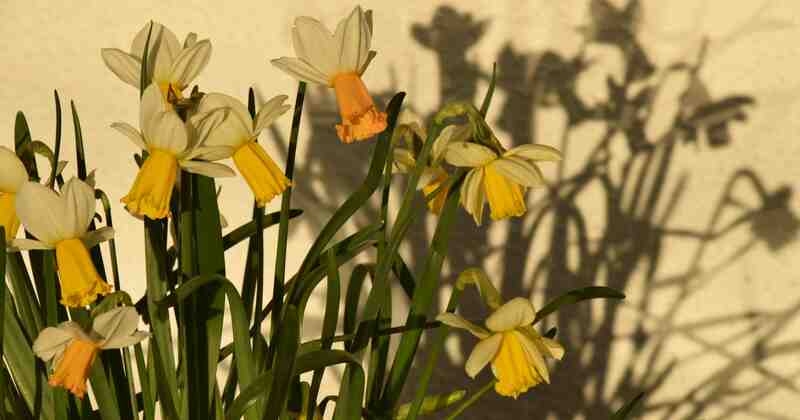 By a happy coincidence the daff I was most excited about has been the first to bloom – it is not often that happens! I decided to take these photos the other evening in the dying light of the day and so they have a strange buff cast that was not as obvious to my eyes as it was to the camera. 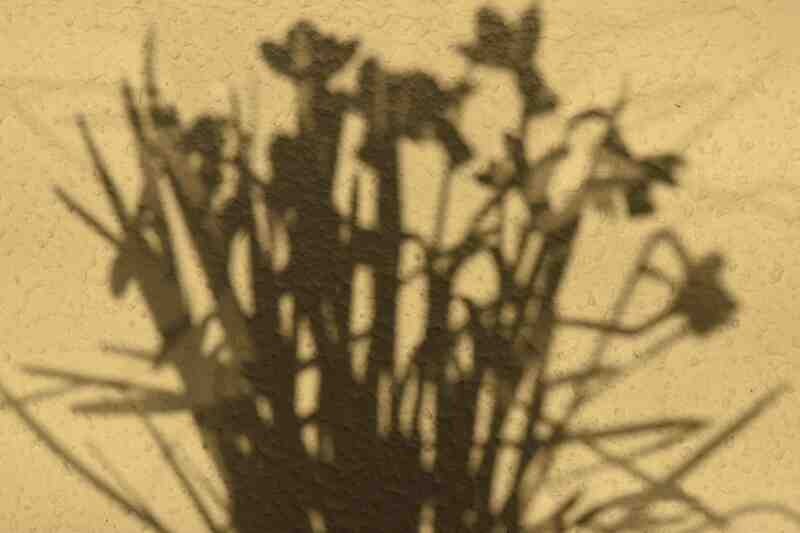 But the low, almost horizontal rays of the sun cast lovely shadows on the white wall that I could not resist trying to capture. 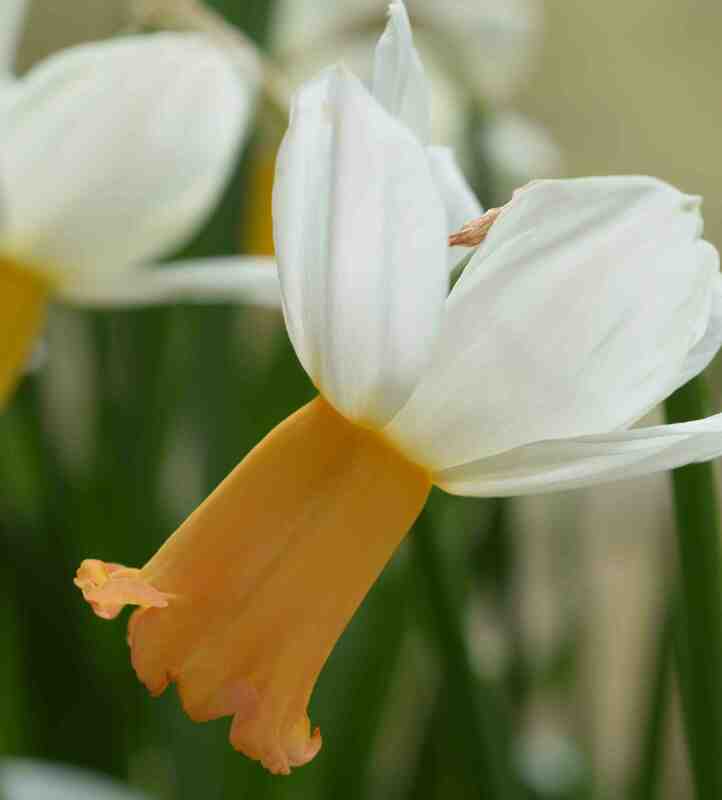 ‘Winter Waltz’ is a fairly new daffodil that has Narcissus cyclamineus as the pollen parent and a pink and white cupped pod parent. As such ‘Winter Waltz’ has typical reflexed petals with that ‘surprised look’. 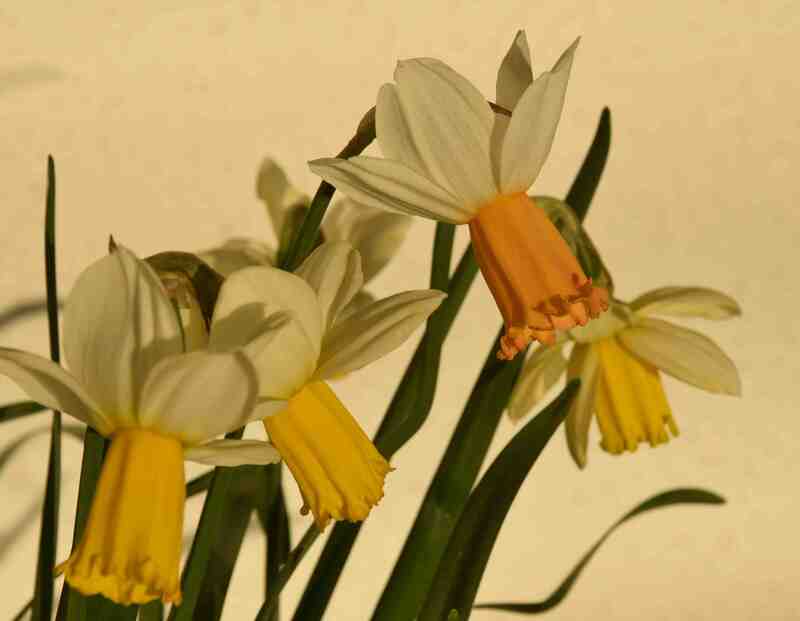 It was registered in 1988 and was bred by Grant Mitsch, that prodigious American daffodil raiser. It is a charming flower with pure white (yes really) petals and a long trumpet that opens yellow and changes after a few days to a delightful apricot orange with a hint of pink. The flowers are nicely fragrant and the stems are about 40cm high. 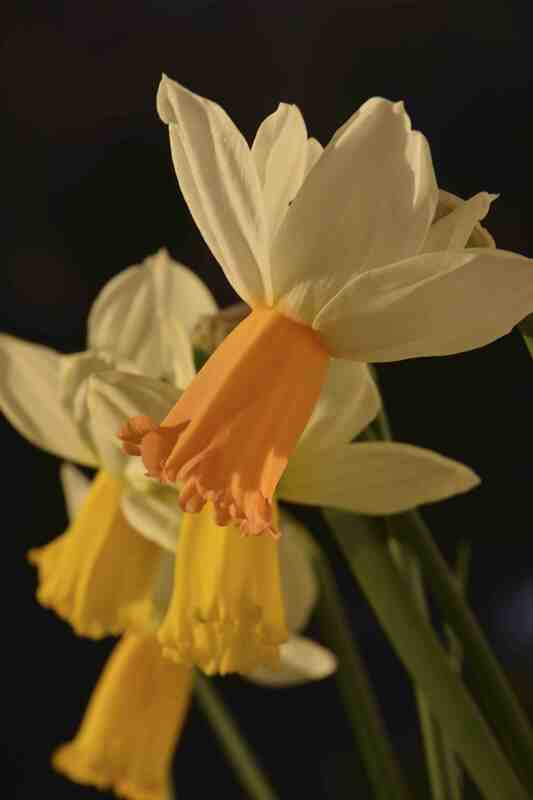 It is too early to say if it is a good grower but it is nicely different to most other ‘cyclamineus’ daffs. You can see the colour change in the photos. I took some more photos today because the wind dropped and this shows the colour of the flowers more accurately. The pink tones have really developed in the flower as it has aged and is now three days older. I like it! Looks like they have pricked back their ears. Lovely, but I’m not sure about the colour change. One colour or the other I think.